Introducing the simplified interface. 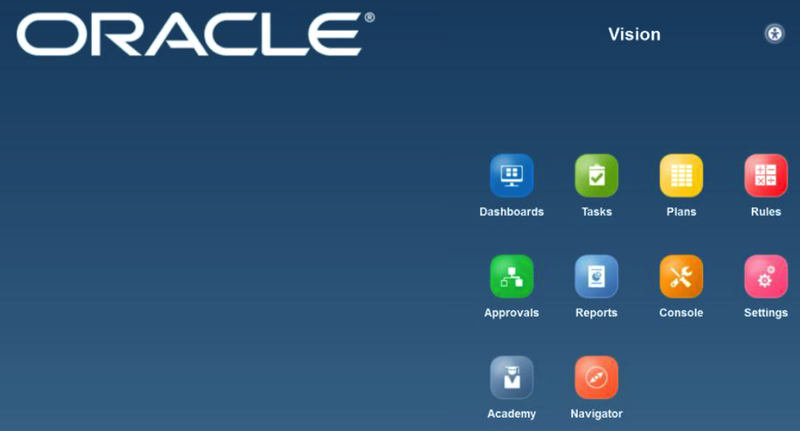 Oracle makes leaps and bounds in mobile connectivity though a simplified interface capability in 11.1.2.4. 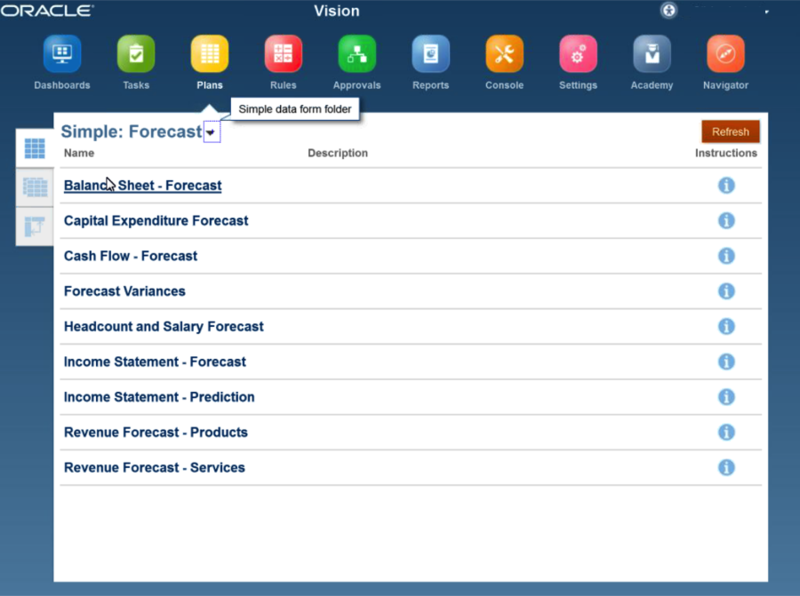 However, did you know you will be able to access the simplified interface on your computer as well? 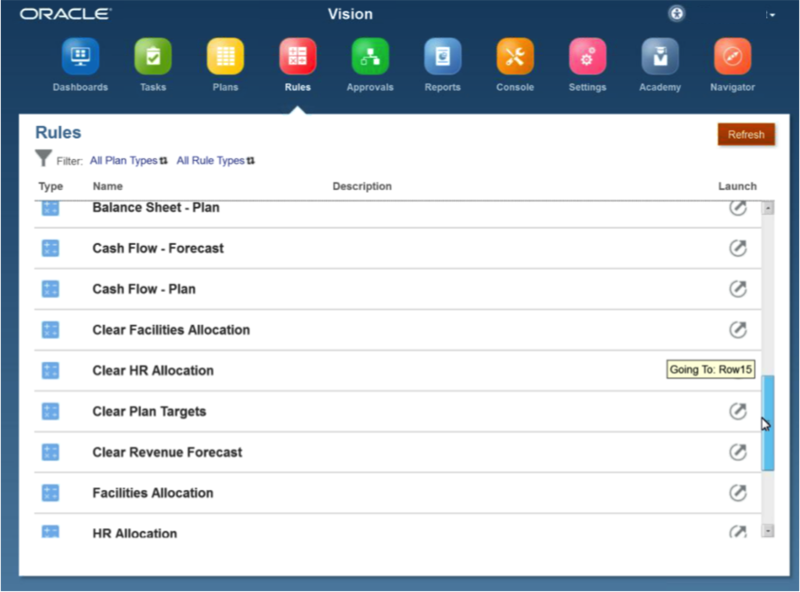 By going to a different URL, users can see a mobile, light and simple interface to Hyperion Planning even on your computer’s browser. Note that the classic interface is still intact. 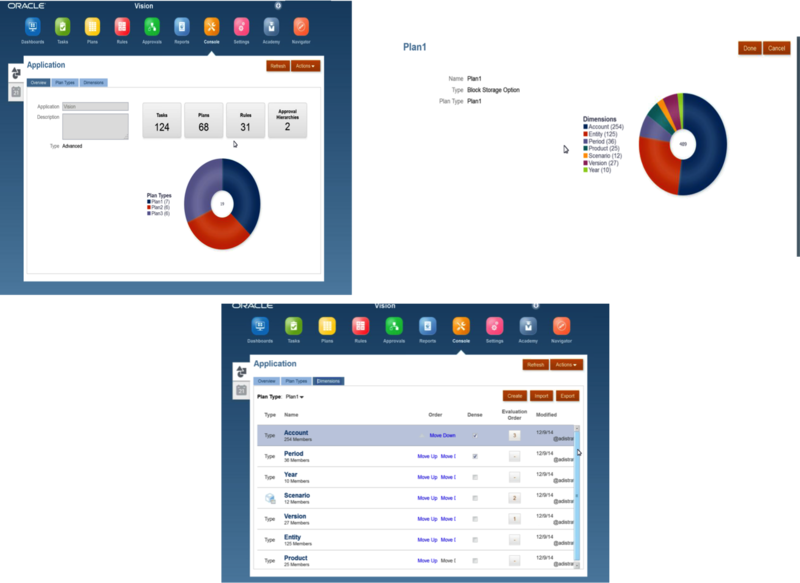 The main page will show users a main screen with options for dashboards, tasks, plans, rules, approvals, reports, console, settings, academy, and navigator. Lets start with Navigator. 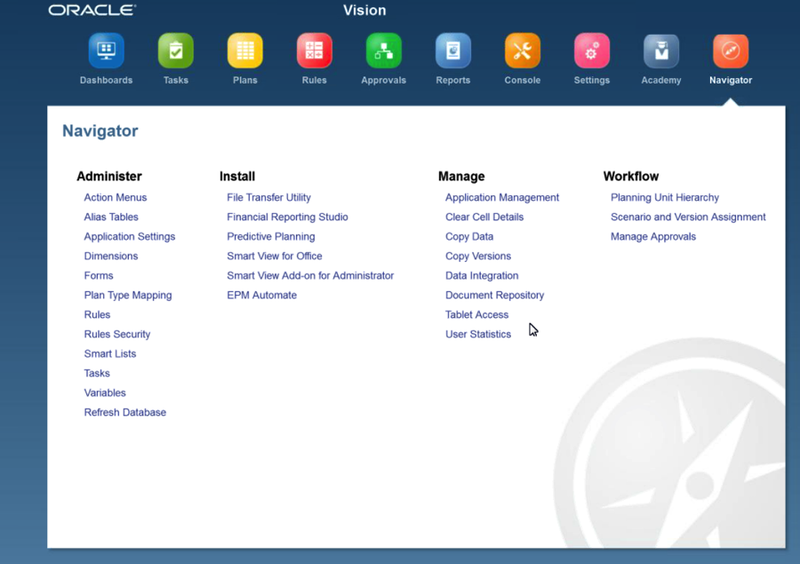 Navigator is a quick way to navigate to common activities such as administration, client installations, management, and workflow. 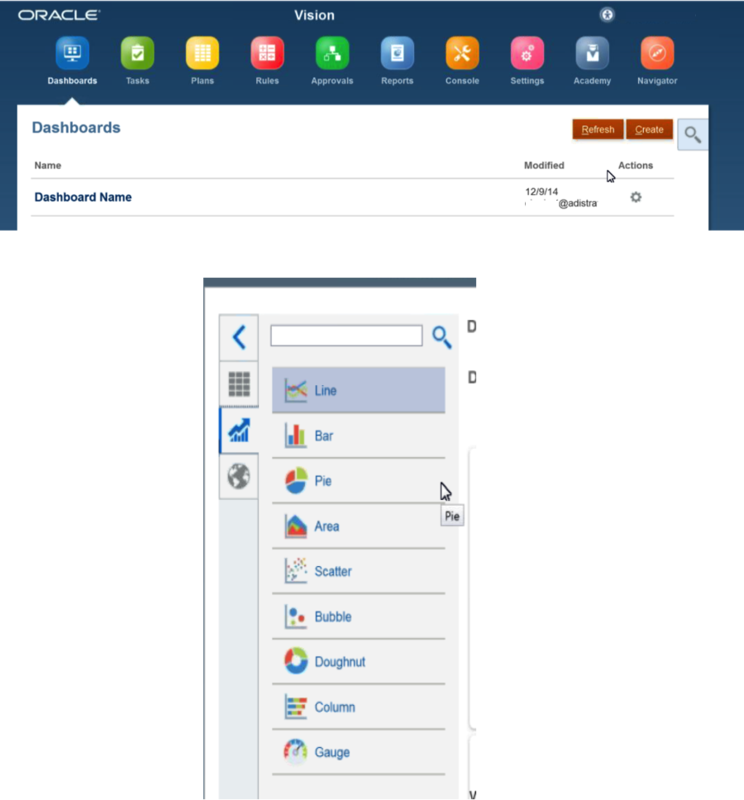 These functionalities are available in within the product suite, however navigator is a simple single portal page that will redirect you. Academy is place for learning, full of documentation and tutorials, and getting started guides. 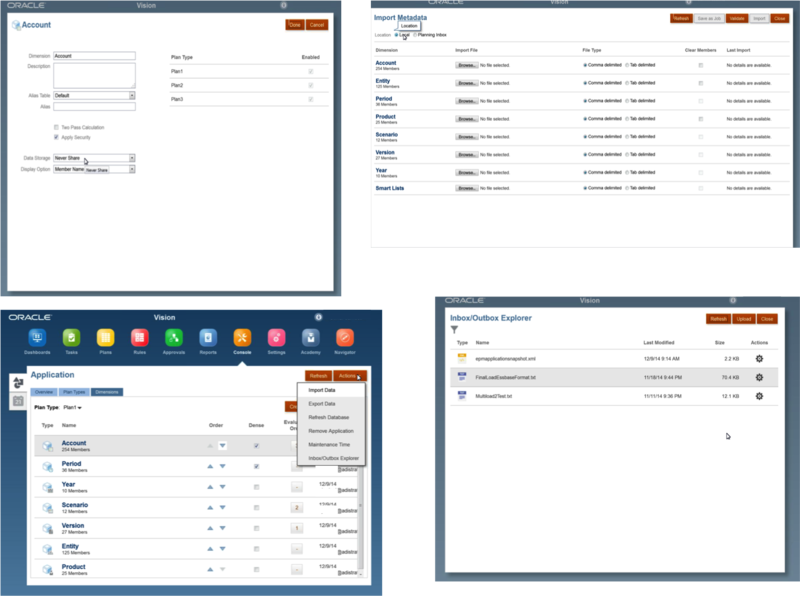 The Settings tab allows user to change application settings, define user variables, create announcements, and change the overall appearance. 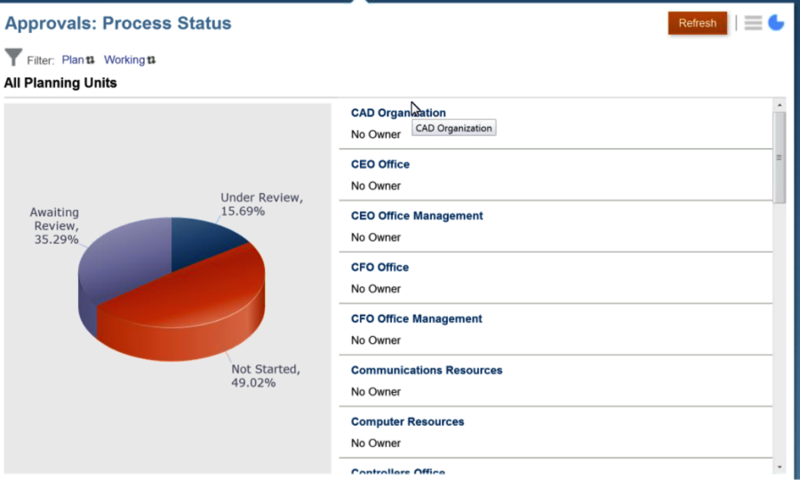 In the reports section, you can see and launch all your reports. 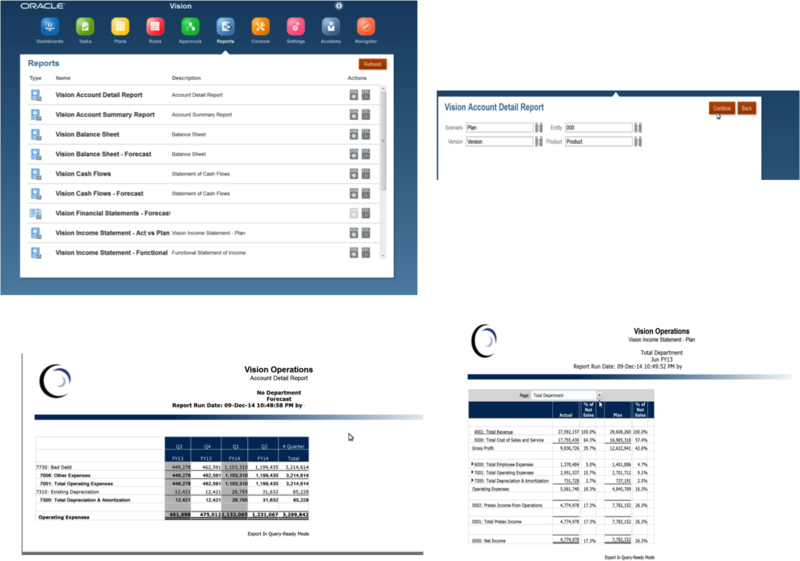 You can even create reports in excel and import them into FR for a quick way to start a framework. . The Rules section shows all the rules. You can launch them directly. However, there is no message that acknowledges that the rule ran. 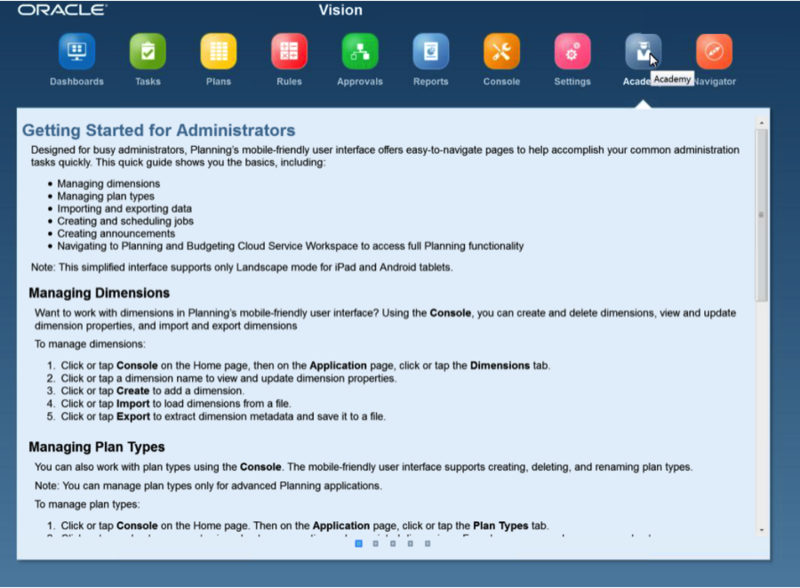 A lot of great functionality in Plans. You can interact with forms in a very new way. 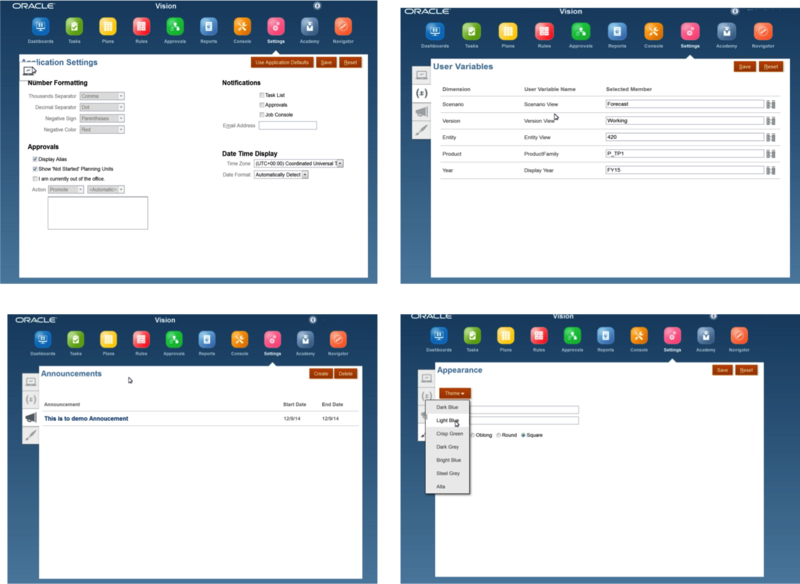 It is broken into Simple Forms, Composite Forms, and a section where you can create an ad-hoc form on the fly. 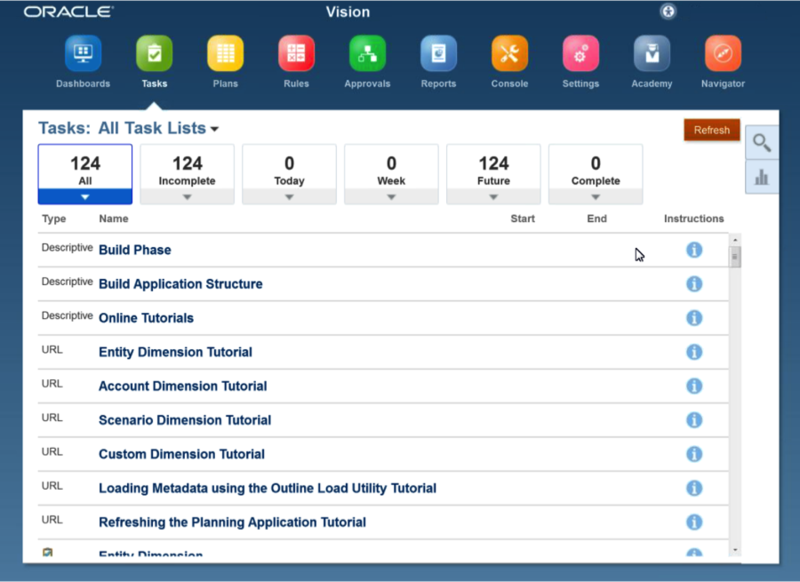 Tasks has a great interface to show you the outstanding tasks that need to be completed, broken out by day, week, future, complete, etc. However it is just a straight list, not organized into groups of tasks or in a tree structure, which can be a bit overwhelming if you have a lot of tasks. The dashboard section is refreshingly easy. 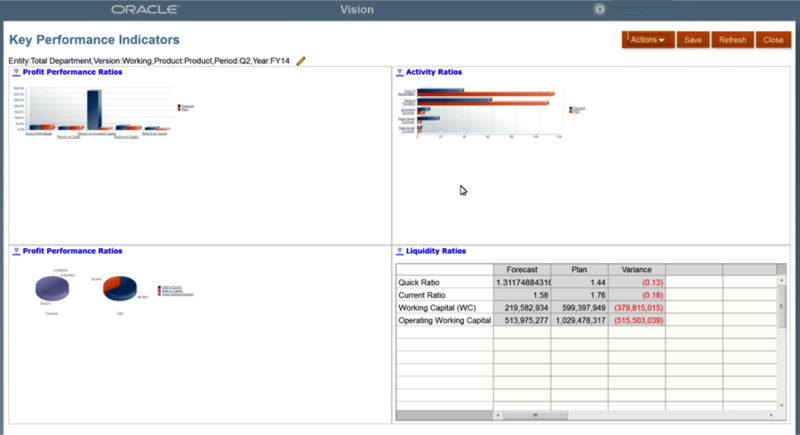 You can quickly build a 4-pane dashboard by simply dragging items on the left and placing them in the dashboard builder. You can add Charts, URLs to external web sites, or textual commentary. The URLs are Firefox based. ~ by Eric Helmer on December 9, 2014.